DISCLAIMER: NOT for children under 13 year old - SAVE: Check our volume discount options for $Savings!! Features: Upgrade or fix a pair of earrings or make your own. 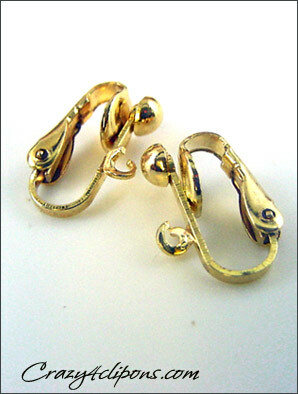 With these plated clip earring findings, the possibilities to build or repair jewelry are right at your hands. 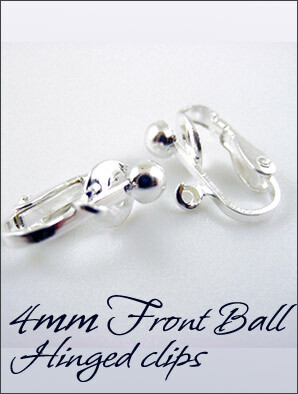 These 4mm front clip balls have a slim front look with a smaller ball, they are great for small/med size earrings, keeping a good balance to the overall earring design. 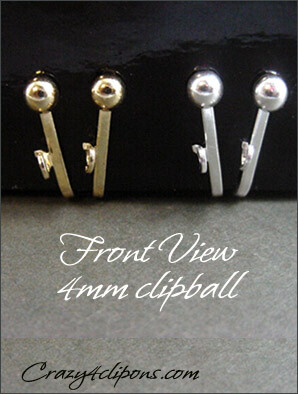 Plated finishes will blend nicely with Sterling silver or Gold filled earrings.